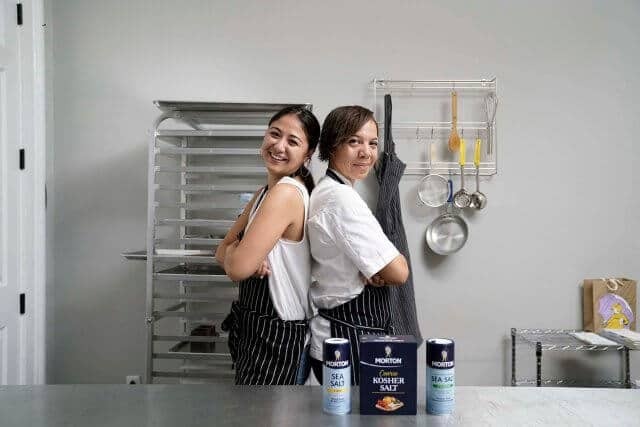 Last year, I took a trip to New Orleans, to experience a taping of Next Door Chef, an content series sponsored by Morton Salt. 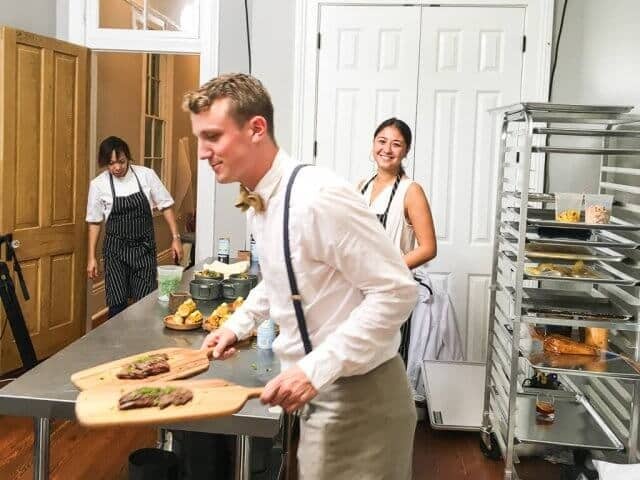 A home cook is paired with an award-winning chef to learn how to transform an everyday recipe into a restaurant-worthy meal. Siobhan with her grandmother, Haboo. 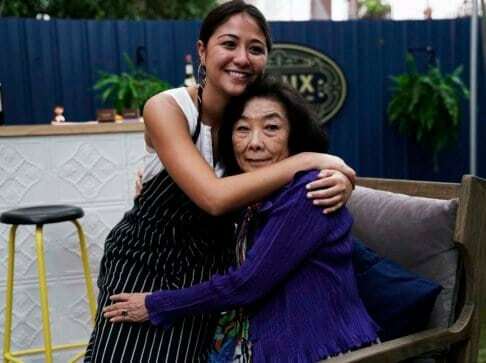 Siobhan, a New Orleans transplant, was paired with Chef Nina Compton (Season 11 of Top Chef), and we got to experience a summertime grilling inspired menu. Siobhan credits her grandmother, Haboo, for always inspiring her to cook. 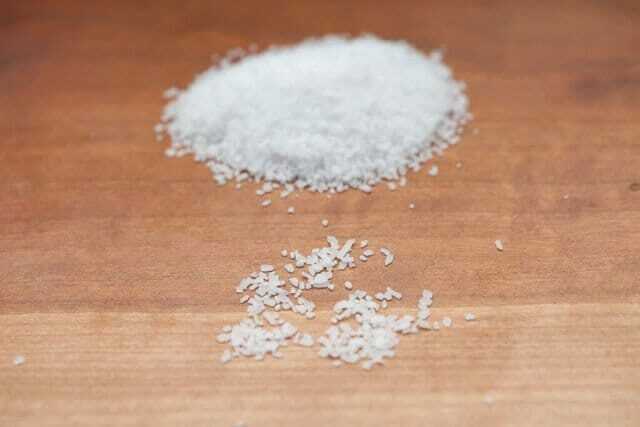 During our trip, Siobhan shared with us that learning just one simple tip made a massive difference in her cooking: the right type of salt for a dish. I’m a salt geek. I collect sea salts from all over the world. Last count, I had 52 different types of salts, from Hawaiian black lava salt to Vietnamese Pearl Salt. 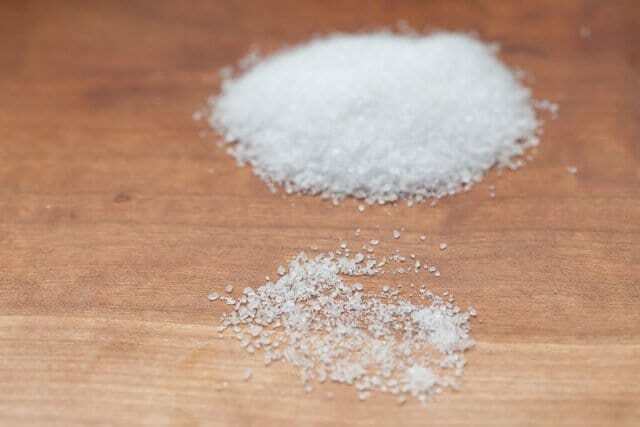 But in my everyday cooking, I use mainly two types of salt: Morton Kosher Salt and a flaky finishing sea salt. 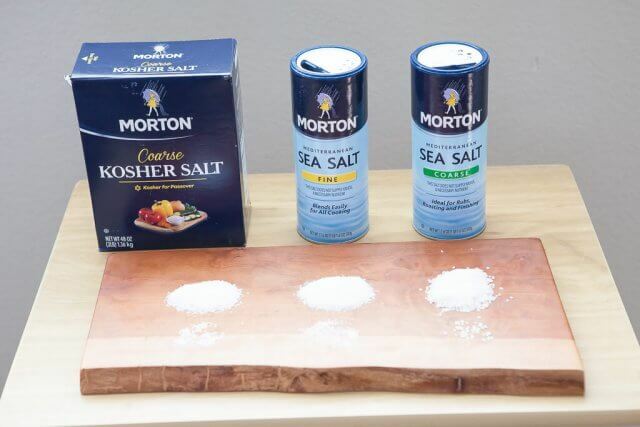 Morton’s three types of salt that experienced were: kosher, fine sea salt and coarse sea salt. This is the salt that’s sitting in a small bowl, next to my stove. 90% of the time, this is what I’m using to season my food. 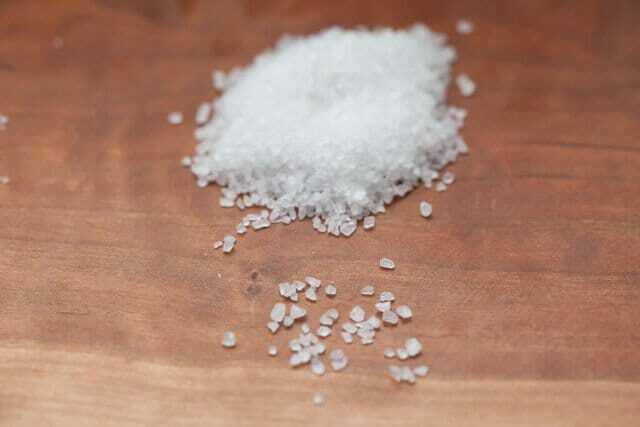 The grains of salt are irregular shaped, medium-coarse, and flat. The larger, flat shape of the salt allows my fingers to feel every grain, so that I know exactly how much I’m seasoning, without even looking. 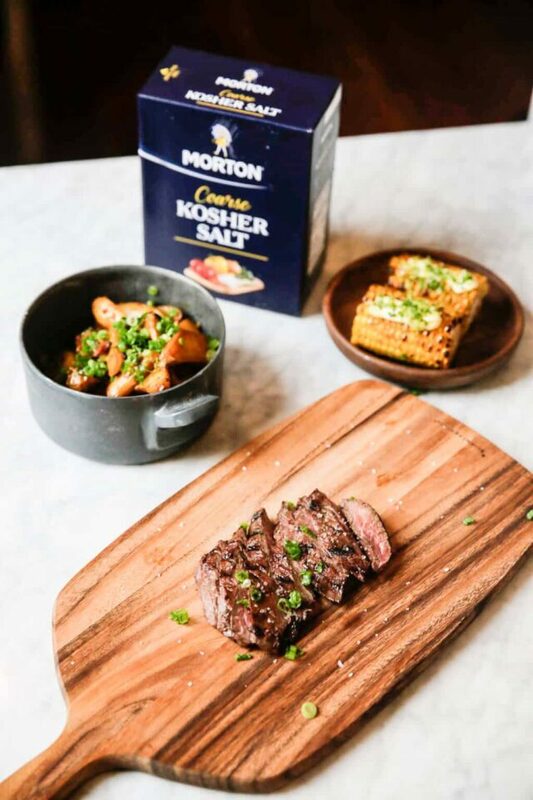 Morton® Kosher Salt helps break down the fiber of the meat, resulting in ideal tenderness while also providing seasoning. Find the recipe for the Honey Soy Grilled Skirt Steak here. This is a new salt for me, I just started using Morton Fine Sea Salt after coming back from New Orleans. Morton Fine Sea Salt is created by Mediterranean sea water that has been evaporated by the sun. 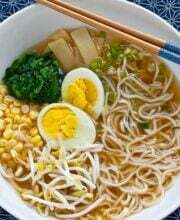 The grains are very fine and even – and dissolves very quickly. 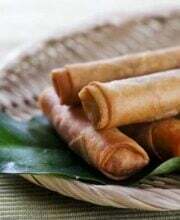 It’s perfect for baking, using in soups and sauces. 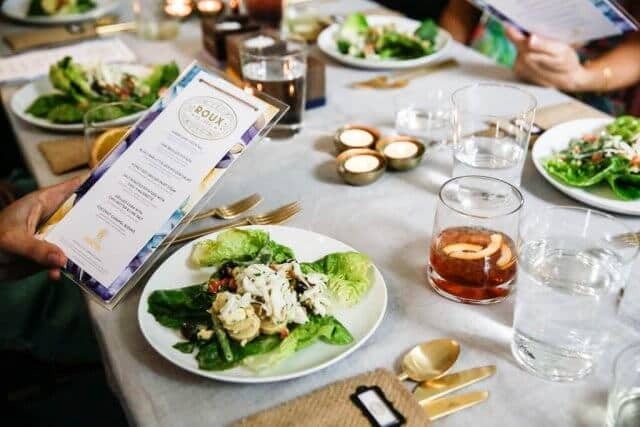 Morton® Fine Sea Salt is used in the dressing because it quickly dissolves for an easy blend into the lemon vinaigrette to help balance the citrus flavor. To finish and season each ingredient within the salad, Morton® Coarse Sea Salt is used for its easy distribution and crunchy texture. Recipe for the salad here. Morton Coarse Sea Salt are big, chunky grains that “pop” when you bite. It’s a great finishing salt. I also use this salt as the base for roasting mussels. Siobhan used this salt as a base for roasting new potatoes and as a finishing salt for oysters. Morton® Coarse Sea Salt is used within the thyme breadcrumbs to garnish the oysters because it adds flavor and texture without overpowering the oysters. 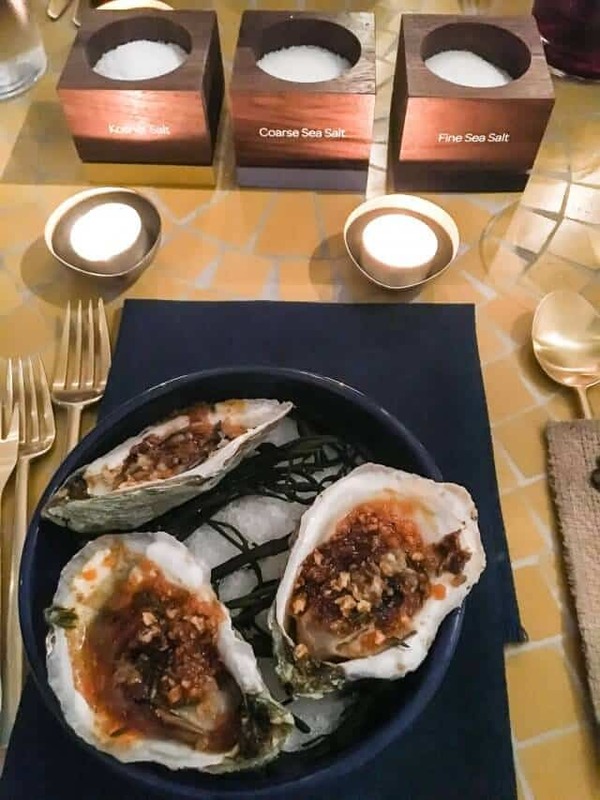 Serving the grilled oysters on a bed of coarse sea salt helps retain their heat and stabilizes the shell. Recipe for Jerk Broiled Oysters Recipe here. We’re working on a big article on how get the intense, tender, and expensive “dry aged” steak flavor in 2 hours…all with supermarket choice grade steaks. It’s all thanks to salt. We’re giving away $200 pre-paid Visa gift card for you to create an ultimate summer grilling menu! Hopefully, these recipes will inspire you! 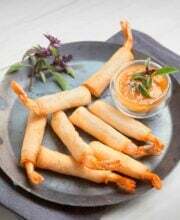 Find all the recipes from Next Door Chef here, plus watch two other episodes, Next Door Chef Chicago and Next Door Chef Nashville.